I’m backtracking in my Baltic Sea saga to pick up on our brief stop in Riga, Latvia – my primary reason for electing the Versatile Baltics 3-day land trip while on the Iron & Ice voyage. Although recent news coverage is offering more familiarity, Latvia came into closer view for our family in the early 1990s. A tall young man named Juris arrived to live and study with us for the better part of a year. I will forever thank his parents for entrusting Juris to us. Although we’ve kept in touch with the occasional notes and email exchanges, I didn’t anticipate an opportunity to do a return visit to his part of the world and meet his family. This itinerary made it possible. Twenty-some years later and with only 18 hours in Riga, it would be enough. 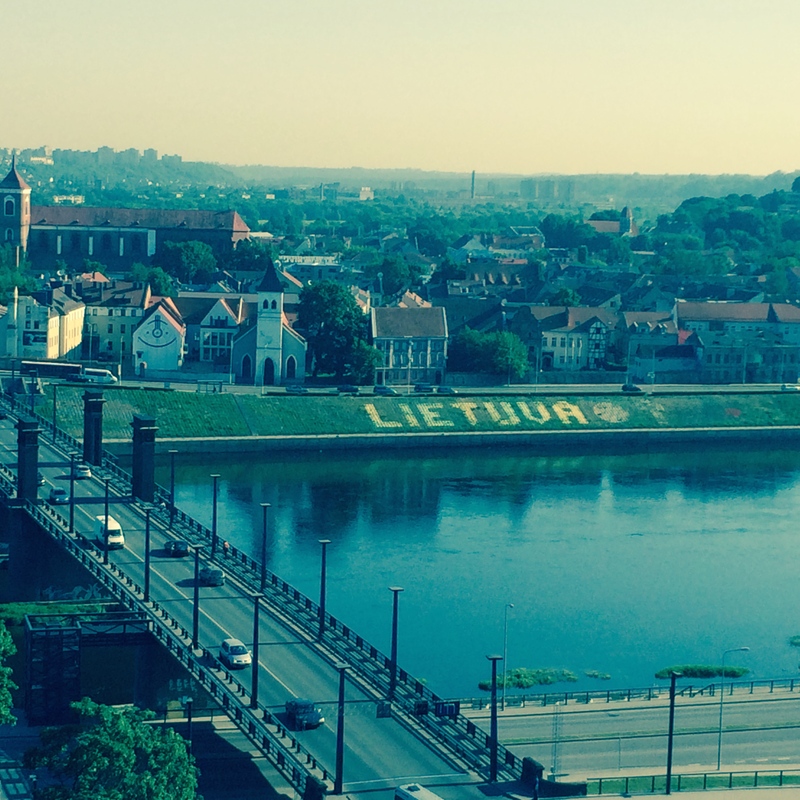 After making our way across Lithuania and into Latvia on a late afternoon in May, our tour bus crossed one of the many bridges into Riga. 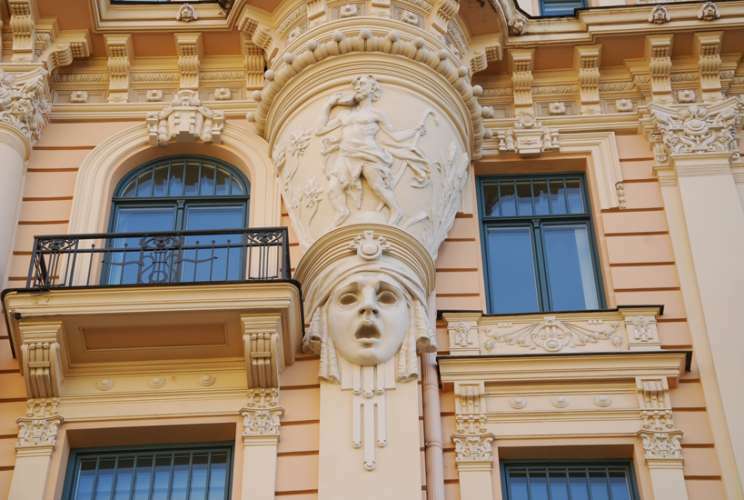 We were met by a lovely local guide knowledgable in the Art Nouveau architecture (Jugendstil) found on some of the most stunning streets in Riga’s city center. If you are a lover of Art Nouveau, I wish for you more time than we had to appreciate these beautifully constructed and preserved buildings. And do include some time for the Riga Art Nouveau Museum, housed in one of the many buildings designed by Konstantins Pēkšēns in the art nouveau style. After checking in to the Radisson Blu Latvija and a quick turnaround, I met Juris and family in the lobby. 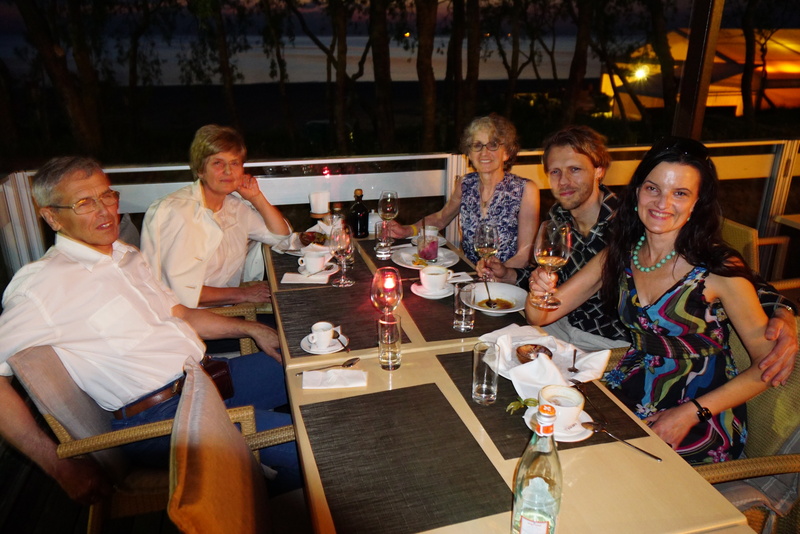 After a brief exchange of gifts and the long-awaited meeting with his charming parents and wife Ilsa, we were off for a drive to the Bay of Riga and dinner. Enroute we traveled through an old and charming seaside cottage area and arrived at a restaurant with a spectacular view of the bay. We reminisced about Juris’s time in the USA and caught up on their current family life. All of this over a wonderful dinner with fresh salad greens, seafood, and a beautifully prepared dessert. On this pleasantly warm evening, we took a walk along the water’s edge and spent some barefoot time cavorting at the shore before our drive back to Riga. 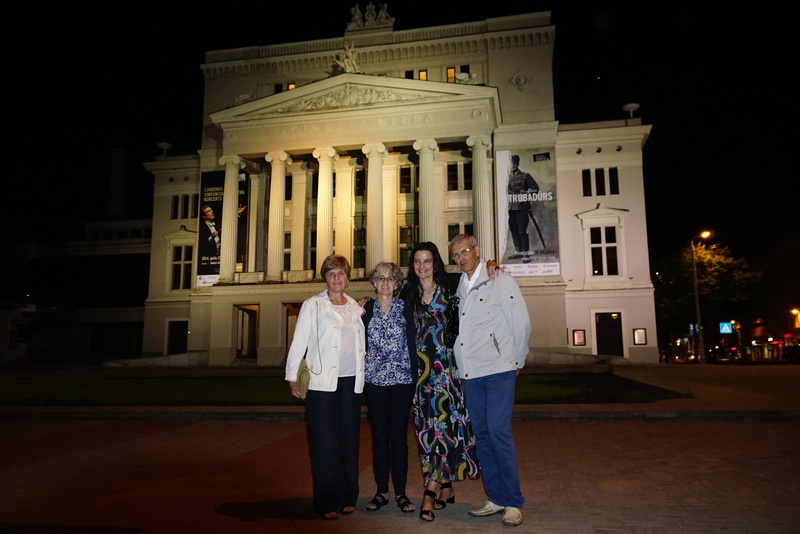 A final photo with the Latvian National Opera House in the background before we say farewell. Concerned that my morning tour of Old Town would not be sufficient in detail, Juris and his family walked with me over the cobbled streets and through the centuries of history that mark the sites. We were not alone in the late night hour. It seemed like a magical evening where crowds of people strolled by, or, well past the midnight hour sat drinking wine or coffee at outdoor cafes, chatting with friends. There would be no morning run through Riga’s cobblestone streets for me as I was scheduled for breakfast at 7 a.m. and back on the tour bus by eight. The morning’s daylight tour of Old Town provided by the tour company was a wonderful review, but couldn’t hold a candle to the detailed and personal midnight walking tour. I barely scratched the surface of all that is this beautiful city of Riga, all the more reason to return. I left with the sense of a people who have thrived through a tumultuous history that does not dampen their love of life. 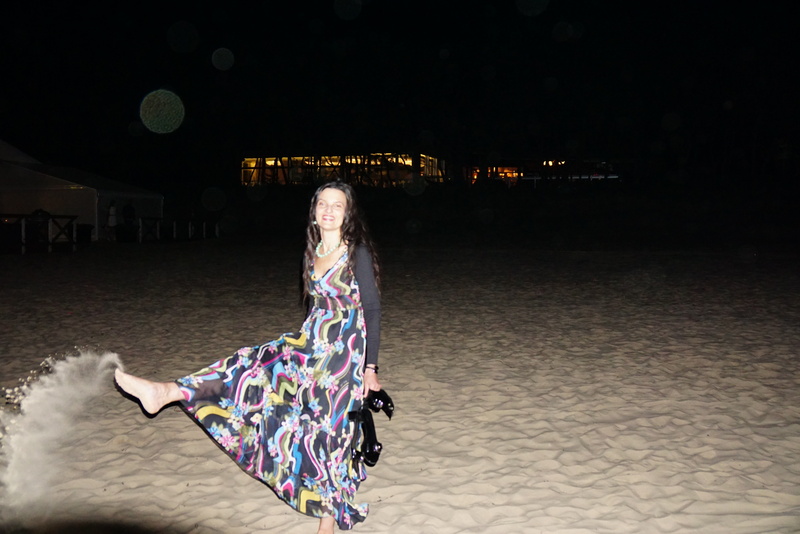 love the blog….and your adventures. hope you and Ray are well. Thanks – and all is well. 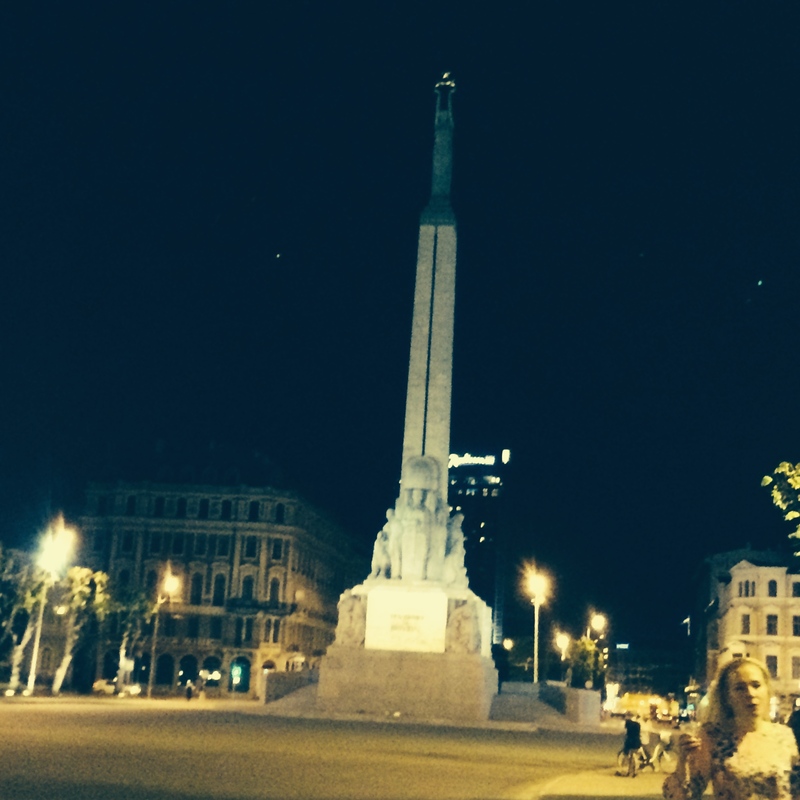 Riga is such a beautiful city. I think it was my most favourite stop on our tour (aside from the Curonian Spit). Yes, the architectural splendor, plenty of green area and historic buildings and a vibrants feel. This is on the “let’s go back” list.